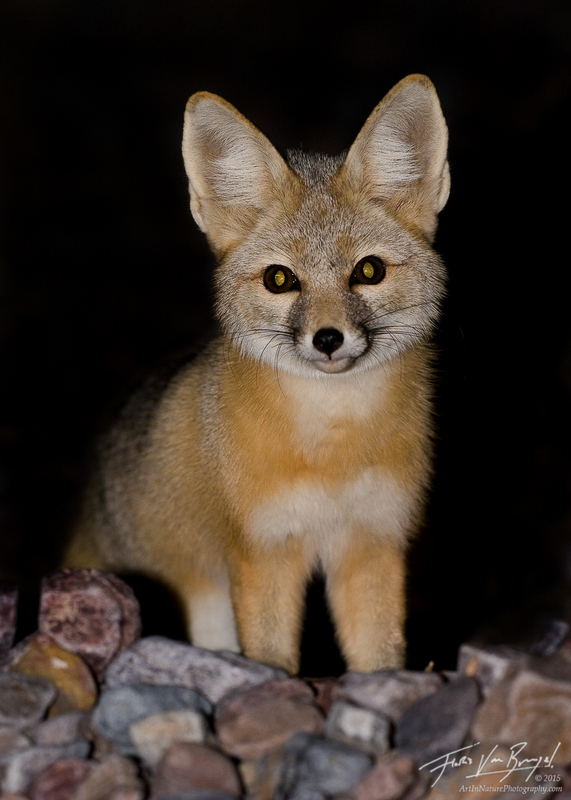 One evening at my camp a few miles up one of the many desert canyons in Death Valley National Park a curious Kit Fox (Vulpes macrotis) came by to see what was going on. I'm sure he would have loved a treat, but even without one he was still (eventually) willing to pose for me. The nocturnal nature of these critters forced me to use a flash, something I generally try to avoid.